Coates, B. J. The Birds of Papua New Guinea. Vol. 2, Passerines. Aderley: Dove Publications, 1993. Higgins, P. J. and J. M. Peter, eds. Handbook of Australian, New Zealand and Antarctic Birds. Vol. 6, Pardalotes to Figbird. Melbourne: Oxford University Press, in progress. Schodde, R. and I. J. Mason. The Directory of Australian Birds. 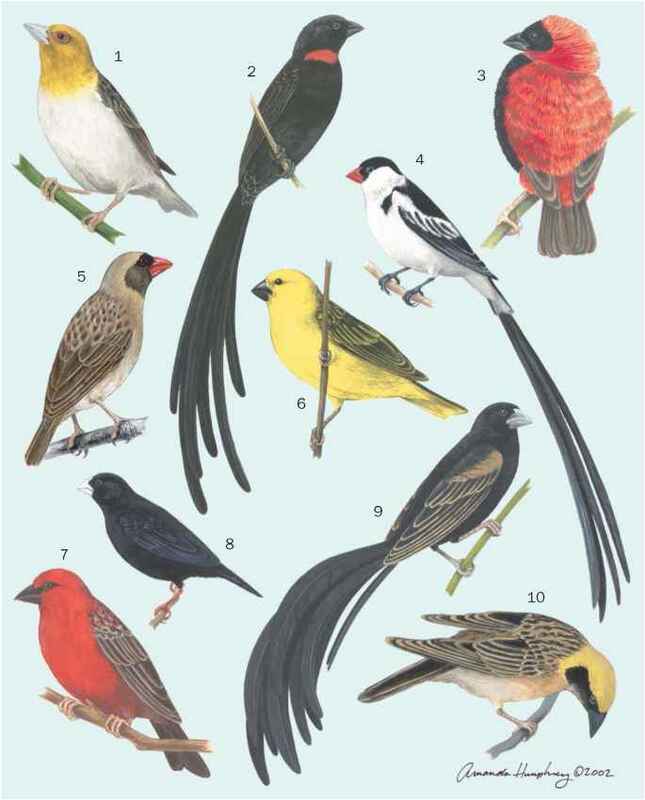 Passerines. Collingwood: CSIRO Publishing, 1999. Bridges, L."Breeding Biology of a Migratory Population of the Rufous Whistler Pachycephala rufiventris." Emu 94 (1994): 106-115. Dilks, P."Recovery of a Mohoua (Mohoua ochrocephala) Population following Predator Control in the Eglinton Valley, Fiordland, New Zealand. "Notornis 46 (1999): 323-332. Dumbacher, J. P.; "Evolution of Toxicity in Pitohuis: 1. Effects of Homobatrachotoxin on Chewing Lice (Order Phthiraptera)." Auk 116 (1999): 957-963. Galbraith, I. C. J. "Variation, Relationships and Evolution in the Pachycephala pectoralis Superspecies (Aves, Muscicapidae)." Bulletin of the British Museum of Natural History 4 (1956): 133-225. McDonald, P. G. "The Function of Vocalisations and Aggressive Behaviour Used by Male Rufous Whistlers, Pachycephala rufiventris." Emu 101 (2001): 65-72. Rozendaal, F. G. and F. R. Lambert. "The Taxonomic and Conservation Status of Pinarolestes sanghirensis Oustalet 1881." Forktail 15 (1999): 1-13.